A US Army paratrooper with the 82nd Airborne Division’s 1st Brigade Combat Team fires his M4 carbine at insurgents during a firefight in Ghazni Province, Afghanistan. 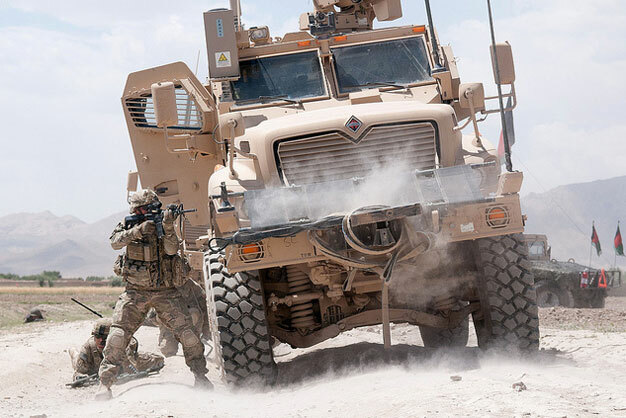 The vehicle he is using for cover is a Mine Resistant Ambush Protected vehicle. US Army photo by Sgt. Michael J. MacLeod, Task Force 1-82 PAO.